If you’ve ever looked into rooting your Android device, chances are you’ve heard of Magisk at some point. It’s a systemless root, open source solution that’s best known for its ability to pass SafetyNet—allowing you to use apps like Google Pay and Pokemon Go while rooted. It is developed by XDA Recognised Developer topjohnwu who has recently finished up his mandatory military training in Taiwan. During that time, we still saw a few updates which improved MagiskHide and added Android P support and bypassed “certified devices” issues, but now we’re getting something even better. 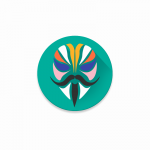 Magisk v16.6 (Beta) is now more compatible with Project Treble Generic System Images (GSIs) and the Samsung Galaxy S9, and the mysterious “root loss” issue has been fixed. The update is a huge step in the right direction as flashing a Project Treble GSI or switching between GSIs often required wiping /data. However, since Magisk relied on files in /data to work, you would need to re-install it in order for it to work. With the most recent update, the new stub Manager APK that’s embedded into magiskinit will be installed if no Manager is detected. The stub then downloads the full application which then reconstructs the root environment. Thus, re-installation will be taken care of by the script without you having to take a bunch of extra steps! Next, users have reported a mysterious issue where root access would suddenly be lost. topjohnwu discovered an edge case and has implemented a fix to prevent the root loss issue from happening. Furthermore, he has implemented fixes to handle root loss caused by daemon crashing. If you want to read the rest of the changelog, then take a look below. Magisk Manager will preserve the random package name when upgrading within the app. Magisk will no longer prefer the package name com.topjohnwu.magisk over repackaged (hidden) Magisk Manager to prevent malware from targeting this specific package name. 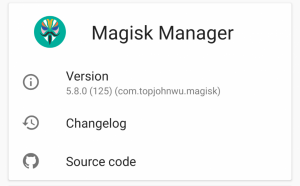 If you have a repackaged Magisk Manager installed, com.topjohnwu.magisk will be forcefully denied root access. You can use Restore Magisk Manager in settings, or uninstall the repackaged Magisk Manager to unlock com.topjohnwu.magisk. The logic to calculate free space in ext4 images is replaced with new extremely precise methods, hopefully no more module installation failures caused by images should happen. All modules using template 1500 will automatically benefit from the new free space calculation method on Magisk v16.6+, no additional changes are needed. Support for Samsung Galaxy S9/Samsung Galaxy S9+ is officially added. Magisk v16.4 switched to 32-bit only binaries and caused issues in some apps. A new wrapper script is added to eliminate all possible quirks. Project Treble GSIs (e.g. phh AOSP) sometimes require replacing adbd in ramdisk and used to conflict with Magisk. It is now fixed and ADB will fully function when using Project Treble GSIs. And here’s the changelog for the Manager application. The changelog can now be viewed within the app itself by going to the “About” section in the sidebar. New uninstall method: download uninstaller and completely remove Magisk + Magisk Manager, following with a reboot. If you’re interested in installing it then check out the official thread. For more details on the release, please see his official announcement post. We’re interested in hearing how this release works on your device. If you are flashing GSIs frequently, let us know how the new update fares for you. Also, if you own a bootloader unlockable Samsung Galaxy S9, do let us know as well if the latest update works properly on your device.